If you like collard greens you will love our freshly harvested organically grown collards. An excellent source of Vitamin K, A, C, manganese and fiber. 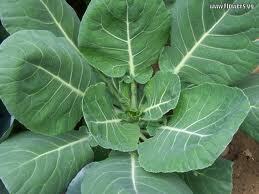 Studies have also shown that steamed collards can reduce your cholesterol. On our blog there is a great recipe for Collard Wraps with Raw Cashew Lime Ginger Coconut Dip. We sell these greens in a large 6 oz. bunch.